Every palace needs a throne. Elegant studded gems coupled with soft baby pink upholstery bring a regal and majestic feel to any space. Made with kids in mind, this pint-sized seat is tough enough to withstand accidental spills and everyday wear-and-tear. 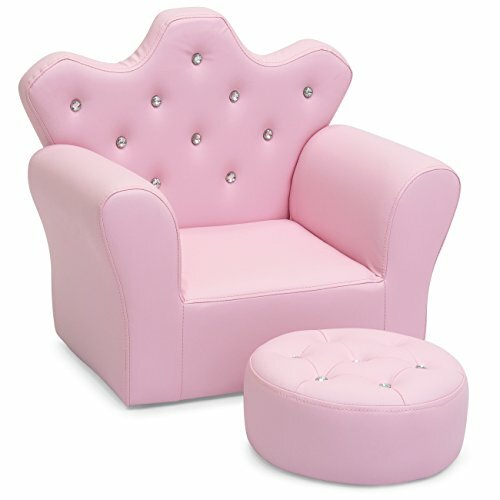 Give your little one's room the royal treatment with this studded chair and ottoman set. Overall Dimensions: 22.5"(L) x 14.5"(W) x 20.5"(H); Weight Capacity: 250 lbs.